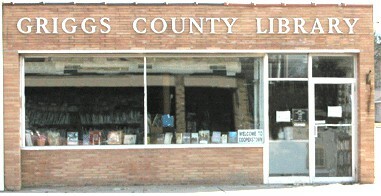 The Griggs County Public Library meeting room shall be available for meetings of responsible community groups and organizations at the discretion of the Director and/or Trustee Board upon written or telephone request. A library employee need not be present after hours, upon approval of the director. A key for the west door only will be issued to the group using the room the day before the event. The key shall be returned within two (2) working days of the use of the room. The Trustee Board shall set the refundable room deposit. Meetings held in the room must be held with no admission charge. Commercial use, fund raising, or direct sales of items will not be allowed except for program or sales sponsored by the library. Light refreshments may be served but organizations are required to provide their own utensils. Organizations requiring audiovisual equipment will make their own arrangements; the library does not provide these. The organization will be responsible for setting up the rooms according to its own needs. The Library staff will bear no responsibility. The organization or group using the room must restore the furniture and room to the order in which it was found. All publicity (e.g. poster, brochures, throw-aways, radio or TV announcements) must carry the name of the organization sponsoring the meeting. The Library may not be identified as the sponsor. Youth organizations using the meeting room must have one adult (over 21) present at all times. If a meeting is canceled, the Director should be notified as soon as possible. No smoking is permitted in the meeting room, any place in the Library or within 20 feet of the entrance to the library. No group or organization using the meeting room will discriminate on the basis of race, color, national origin, gender, religion, age, or handicapped status in the provision of service. Exceptions to these policies are possible only by permission of the Griggs County Public Library Board of Trustees. The Facility Use Agreement and Meeting Room Use Agreement must be signed by the representative of the organization using the facility and returned to the library director to reserve the room.